The Great Barrier Reef (GBR) is revered for its kaleidoscope of colour. 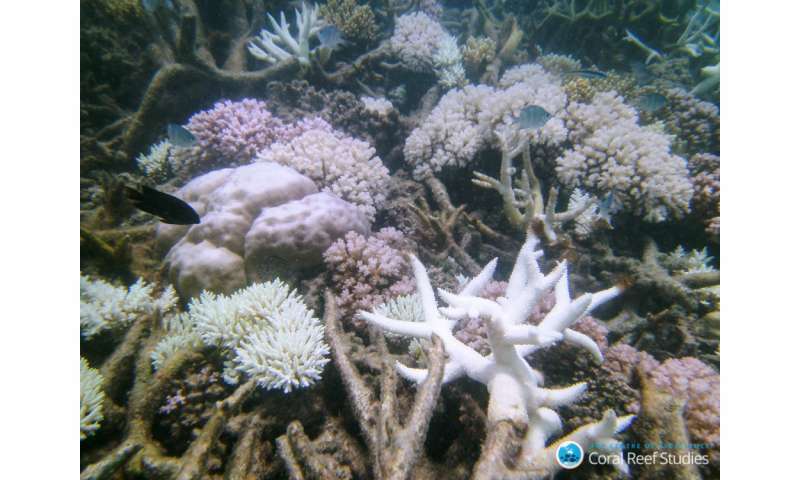 New international research led by PhD student Laura Richardson of the ARC Centre of Excellence for Coral Reef Studies at James Cook University reveals that coral bleaching events not only whitewash corals, but can also reduce the variety of fish occupying these highly-valued ecosystems. The study was conducted by researchers at James Cook University and Lancaster University, U.K., who examined 16 reefs off Lizard Island, in the northern section of the GBR. The quantity and types of coral and fish species were surveyed before, during and after the 2016 mass bleaching event caused by a global heatwave. "The widespread impacts of heat stress on corals have been the subject of much discussion both within and outside the research community. We are learning that some corals are more sensitive to heat-stress than others, but reef fishes also vary in their response to these disturbances," said lead author Ms Richardson. "Fish assemblages are significantly impacted by loss of coral cover as a result of bleaching events, and some fishes are more sensitive than others," said co-author Prof Nick Graham of Lancaster University. The loss of corals affected some types of fish more than others. Following the bleaching event, researchers recorded a sharp drop in the diversity of fish communities as the mix or species changed. Fish that are highly dependent on branching corals, such as butterflyfish, declined the most. "Prior to the 2016 mass bleaching event, we observed significant variation in the number of fish species, total fish abundance and functional diversity among different fish communities. 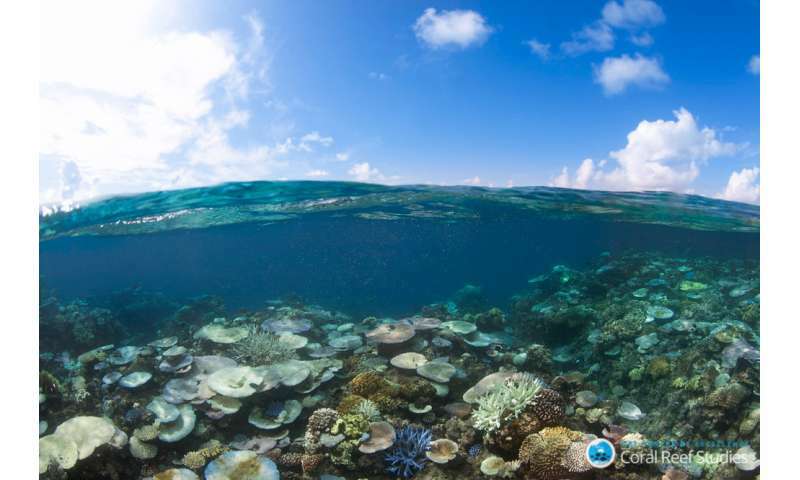 Six months after the bleaching event, however, this variation was almost entirely lost," said co-author Dr Andrew Hoey of ARC Centre of Excellence for Coral Reef Studies at James Cook University. "Also known as 'biotic homogenisation,' this tendency towards individual and community similarity is increasingly considered one of the most pressing, but largely unrecognised, biodiversity crises faced globally." The paper "Mass coral bleaching causes biotic homogenization of reef fish assemblages" is published in Global Change Biology.